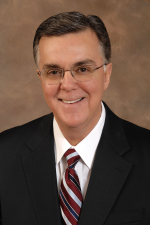 Dr. Grant McClung is President of Missions Resource Group, a world missions resourcing ministry that provides training, consulting, and mentoring to the global Great Commission community (www.MissionsResourceGroup.org), and Missiological Advisor to the World Missions Commission of the Pentecostal World Fellowship. He is a member of a number of missions related boards and advisory groups including the Global Diaspora Network Advisory Board (Lausanne Committee for World Evangelization), the U.S. Lausanne Committee, and the Advisory Committee for the Evangelical Missions Quarterly (EMQ) - a ministry extension of the Billy Graham Center in Wheaton, Illinois. A veteran field missionary and missions leader, McClung is currently serving in an at-large capacity for global missionary education through Church of God World Missions. He was an elected member of the International Executive Council of the Church of God (Cleveland, Tennessee U.S.A.) from 2006 – 2010. A trained missiologist, McClung is a graduate of the Fuller Theological Seminary School of Intercultural Studies (Doctor of Missiology) where he served as Teaching Assistant to C. Peter Wagner and was awarded the Paul Yonggi Cho Church Growth Award for his research on Pentecostal missions. He is an Advisory Editor for Christianity Today and a regular contributor to missions and Pentecostal/Charismatic publications, including chapters on Pentecostal missiology in The Globalization of Pentecostalism: A Religion Made to Travel (Regnum Books 1999) and the International Dictionary of The Pentecostal and Charismatic Movements (Zondervan Publishing 2002). Upon the occasion of the centennial observance of the Azusa Street Revival (1906 – 2006), McClung’s article, “Pentecostals: The Sequel,” was featured as the cover story for the April 2006 issue of Christianity Today. He is the Editor of Azusa Street and Beyond: 100 Years of Commentary on the Global Pentecostal/Charismatic Movement (Bridge-Logos Publishing 2006). His newest publication, together with Co-editor Arto Hamalainen, is Together in One Mission: Pentecostal Cooperation in World Evangelization (Pathway Press 2012). McClung began his ministry as a pastor in his native California. As an advocate for the primary role of the local church in world evangelization, he has written a special resource for pastors and local church missions leaders: Globalbeliever.com: Connecting To God’s Work in Your World (Missions Resource Group, Revised 2010). Both the English version of Globalbeliever.com and the Spanish translation, Creyenteglobal.com: Conectandonos a la obra de Dios en nuestro mundo are available as free online “eBook” missions training resources at www.MissionsResourceGroup.org. 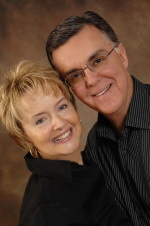 McClung and his wife, Janice (a musician, composer, and speaker), have led a weekly global intercessory prayer ministry in their local church for more than twenty-five uninterrupted years.